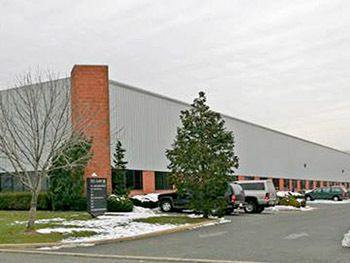 Located at 2303 Garry Road in Cinnaminson, N.J., the 45,100-square-foot industrial building is currently occupied by All American Fasteners and Dade Paper. CINNAMINSON, NJ, July 14, 2016 - Simon Holdings Inc. has acquired an industrial building located at 2303 Garry Road in Cinnaminson. Lynn Bradeen sold the 45,100-square-foot property for $2.1 million. The multi-tenant warehouse facility features 20- to 22-foot ceiling heights, 14 tailgate doors and five drive-in ramps. All American Fasteners and Dade Paper currently occupy the facility. Marc Isdaner of Colliers Southern New Jersey represented the seller, while Scott Mertz of NAI Mertz represented the buyer in the transaction.